Winners of the prestigious Silver "ESTA" award for the Northwest (Manchester and Merseyside) at the 2016 Estate Agent of The Year Awards. Hannon Holmes SALES & LETTINGS are here to take the hassle out of selling, buying or renting your home. Now celebrating our 10th year, we offer a wealth of experience in both Sales & Lettings & we genuinely believe your experience with us will be second to none. 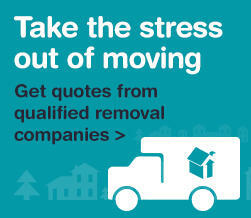 Click our logo on the left to find out....... What the "The Moving Experience" will mean to you?